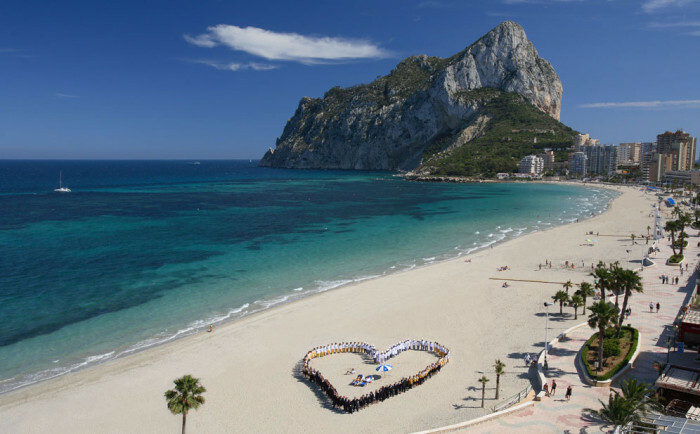 Unitursa has managed apartments, bungalows and hotels in Calpe since 1982. Unitursa operates 3 hotels (AR Diamante Beach SPA Hotel & Convention Centre ****, The Cookbook Gastro Boutique Hotel & SPA, AR Roca Esmeralda & SPA*** and AR Galetamar ***), 1 Resort (AR Imperial Park SPA Resort), 16 apartment buildings (Turmalina, Amatista, Rubino, Topacio I-II-III and IV, Esmeralda, Aguamarina, Zafiro, Turquesa Beach, Coral Beach, Ambar Beach, Hipocampos, Esmeralda Suites and Larimar) and 2 Bungalow complexes (Galetamar and Puerta del Sol). Unitursa has three establishments that are ideal for celebrating events or functions of any kind. The AR Diamante Beach SPA Hotel & Convention Centre **** offers a Grand Ballroom with all the latest technology, which is a 700 m2, open plan room, 7.5 metres in height. Unitursa also has three SPA centres offering almost 5.000 m2 of leisure and relaxation facilities at AR Diamante Beach SPA Hotel & Convention Centre****, AR Imperial Park SPA Resort or Roca Esmeralda & SPA***. Two of these SPA centres are among the largest on the Costa Blanca. SPA*** and also offers a gym and a heated pool. At Unitursa we take care of our guests’ needs, striving to improve every day. These efforts were rewarded in 2007 when the AR Diamante Beach SPA Hotel & Convention Centre **** was awarded the prestigious Q certificate for excellence. This was the third Q award granted to one of our hotels, following in the footsteps of the AR Roca Esmeralda & SPA*** and the AR Galetamar***. Unitursa is renowned in the Tourism sector on the Costa Blanca because of our experience and dedication.